Spain remains a logistical hotspot for organised crime groups based in Africa, Latin America and the former Soviet Union. The major sources of criminal proceeds are drug offences, organised crime, tax and customs offences, counterfeiting, and human trafficking. The recent FATF First Regular Follow-up Report, published in March 2018, states that, 'overall, Spain has made progress in addressing the technical compliance deficiencies identified' in the 2014 Mutual Evaluation Report. Indeed, in the past few years, the Spanish parliament has passed several regulations enhancing the measures applicable to the fight against money laundering, increasing the transparency obligations for financial institutions and empowering the law enforcement and courts with new instruments for this purpose in areas such as freezing of assets or international mutual judicial and enforcement exchange of information and assistance. Additionally, the fact that Spain is a geographic logistical hotspot for transnational crime has meant that Spanish courts and law enforcement frequently have to use and are very familiar with mutual legal cooperation instruments. For the same reason, Spanish courts and law enforcement are proactive in providing cooperation to other jurisdictions seeking their reciprocal aid. Under the Spanish system, the victim can appear as a party to the criminal proceedings, not only for the purposes of seeking the corresponding compensation for damage but also to exercise a criminal action. Both actions are dealt with and sentenced within the same proceedings. For these reasons, the Spanish legal system does not distinguish between civil and criminal fraud, as other legal systems do. The Spanish Criminal Code (SCC) defines fraud as obtaining undue profit from the victim using deception.4 Committing fraud carries a prison sentence of up to three years and a fine, as a general rule. The prison sentence can rise to up to eight years if there have been certain aggravating circumstances. Misappropriation of funds is also considered as a form of fraud when perpetrated by an administrator or depositor of another's assets. There are other specific provisions in the SCC regarding fraud that are beyond the scope of this article, although some of them are referred to below. According to the Spanish Criminal Procedural Act (SCrimPA), all criminal offences give rise to a criminal action to impose a penalty on the offender and to a civil action for the compensation of the damage caused to the victim. Both civil and criminal actions may be exercised within the same criminal proceedings. There are two major phases in Spanish Criminal proceedings: the investigative stage and the trial. One of the main characteristics of the Spanish criminal procedure is that a judge – the investigating judge – is in charge of conducting the pretrial criminal investigation with the cooperation of the judiciary police and the public prosecutor. The trial is held before professional judges (who cannot be the same people who are in charge of the investigation) and, only in some exceptional cases, before a jury. Serious fraud cases are generally tried by a panel of three judges. Under the Spanish system, the victim can appear as a party to the criminal proceedings, not only to seek the corresponding compensation but also to exercise the criminal action. The victim can exercise either action by filing a criminal complaint before the competent judge to launch the proceedings or by appearing as a party to ongoing criminal proceedings initiated ex officio to investigate the offence. During the investigative stage of all criminal proceedings, the judge must summon the victims and inform them of their right to appear as parties to the criminal proceeding and exercise criminal and civil actions. Even if the victims decide not to appear as parties to the proceedings, this would not lead to the waiver of their right to restitution. In this case, the public prosecutor is empowered by the SCrimPA to exercise the civil action on their behalf and to seek compensation for the damage caused by the criminal offence. The waiver of the civil action must always be explicit and written. The victim can also reserve the civil action to exercise it in civil proceedings before the competent civil courts, as analysed below. If there are several victims, the waiver of the action by any one of them does not affect the other victims' rights to seek compensation. All the actions exercised by the victims of the same criminal offence shall be dealt with and decided within the same proceedings. Moreover, to the extent possible, the victims should litigate under the same legal representation. For this purpose, the judge can request that the victims reach an agreement to litigate collectively. It should be noted that the Spanish system does not foresee the possibility of class actions. However, in cases where a criminal offence causes damage for a significant number of individuals, in practice, the victims usually form an association to file a joint lawsuit. Typically, the victim should exercise the civil action against the criminal offenders. According to the SCC, the civil action can be exercised against the individual who committed the fraud (authors) and the persons who assisted him or her in committing it (accomplices). When several individuals are held liable for the fraud, the court shall determine, in the judgment, the quota for which each group shall be held accountable. Typically, all the offenders shall be held jointly and severally liable for their respective quotas. The SCC was amended in 2010 to regulate corporate criminal liability. Since then, legal persons can also be held criminally liable for fraud. Should this be the case, the company will also be sentenced to pay compensation to the victims, jointly and severally, with the individuals directly liable for perpetrating the offence. In addition, a civil action resulting from fraud can also be exercised against the following persons. The SCC foresees the possibility of seeking compensation from persons other than the criminal offenders. Among them, the following groups of persons could be sued within the framework of an investigation for fraud. According to the SCC, should the criminal event be covered by an insurance policy, the insurance company shall be held directly liable for covering the compensation to the victim within the limits provided in the policy. The action against the insurance company can be exercised in the framework of the same criminal proceedings initiated to judge the fraud. However, the insurance company could, of course, have a right of recourse against the offenders that could be exercised at a later stage. Any Spanish public entity will be held civilly liable for the consequences of criminal offences committed by civil servants or public employees acting under their control, provided that the damage was directly caused as a consequence of the malfunctioning of the public service with which they were entrusted. This civil liability will be subsidiary to that of the individuals or companies held criminally liable for the fraud. This means that the public entities shall only be liable for the amounts that the offenders are unable to pay to the victim. Companies shall be held civilly liable for the damage caused as a result of the criminal offences committed by their representatives, directors or employees while carrying out their professional obligations or acting on behalf of the company. This civil liability shall also be subsidiary to that of the individuals or companies held criminally liable for the fraud. they acted in good faith; in other words, they were unaware that the assets constituted the proceeds of a fraud. Conversely, if these third parties acted in bad faith, namely knowing that the assets were the proceeds of fraud, they could be charged with the specific criminal offence of receiving stolen assets or money laundering, depending on the circumstances. Receiving stolen assets and money laundering are criminal offences that are independent from fraud and, therefore, they can be investigated in separate criminal proceedings. This might prove helpful for the purposes of tracing, in Spain, assets stolen abroad, as discussed in further detail below. Civil action against the civil parties and receivers of the stolen goods mentioned above must also be exercised within the criminal proceedings launched against the perpetrator of the fraud. For these purposes, the investigative judge, ex officio or in accordance with the prosecution's or the civil claimant's request, shall call them as parties to the criminal proceedings to allow them to exercise the corresponding defence. In Spanish case law, civil liability resulting from a criminal offence is considered to be almost objective, meaning that, once the criminal offence is proven and judicially declared, the offender shall be sentenced to compensate the victim almost automatically. Therefore, the only possible means of defence against this type of civil claim pertains to the defence against the criminal charges. The same is applicable to the civil parties referred to above. For this reason, their defence is often limited to challenging the relations with the offender that might give rise to their civil liability, in both cases. In criminal proceedings in Spain, the burden of proving criminal liability lies with the prosecution. The standard of proof includes the presumption of innocence and in dubio pro reo principles according to which, in summary, the defendant cannot be sentenced if there is reasonable doubt. the compensation of both material and moral damages. The claimant has the burden of proving the amount of the damages. The Spanish system, in contrast to those in other jurisdictions, does not foresee punitive damages. When a civil action is exercised in criminal proceedings, its statute of limitations is the same as that which is applicable to the criminal offence itself. In the case of fraud, the statute of limitations may vary from five to 15 years, depending on the seriousness of the case. As explained above, according to the SCrimPA, the primary avenue for the victim of fraud to claim compensation is within criminal proceedings against the offender. Still, the SCrimPA also foresees the possibility of the victim reserving a civil action to exercise it before a civil court. However, the victim cannot file a civil lawsuit until a criminal action is concluded in a final and binding judgment. For this reason, in practice, it is extremely rare for victims to choose this option. As a general rule, the statute of limitations corresponding to a civil action, when exercised before civil courts, is five years from the day the criminal judgment became final and binding. In an exception to this, the statute of limitations for tort liability is one year, counted from the day on which the injured party became aware of the damage. Civil courts are bound by the facts affirmed in the previous criminal judgment and, therefore, the dispute within these civil proceedings shall be limited to the extent of the damage and the amount of compensation. According to the SCrimPA, an investigative judge can adopt a number of protective measures to secure the assets and proceeds of fraud and preserve the victims' rights to retrieve their property or obtain compensation. periculum in mora, or danger in the delay. The judge will evaluate whether there is a significant risk that the effectiveness of a potentially favourable judgment might be in jeopardy. If the previous requirements are met, the SCrimPA allows any of the preventive measures provided for in civil legislation to be adopted, as described below. judicial intervention, when necessary to protect the rights of the company's employees or creditors. In criminal proceedings, these preventive measures can be adopted at any time during the investigative stage, or even later, during the trial, if new circumstances arise that make them necessary. The judge can adopt these measures ex officio or following an application from the public prosecutor or the victim. As a general rule, the judge will adopt these measures after hearing both parties' allegations. However, in exceptional cases, where there is an imminent and significant risk of the assets disappearing, these measures can be adopted without previously hearing the defendant. In any case, the defendant shall be allowed to challenge the preventive measures after the fact. the measure aims to guarantee the effectiveness of a potentially favourable judgment. the registration of the claim with any public registry (e.g., commercial or real estate registries). This measure is especially useful to prevent the defendant from selling or transferring the asset to bona fide purchasers. To adopt these measures, in addition to the fumus boni iuris and periculum in mora requirements described above, civil legislation requires that the claimant posts a bond or guarantee that is sufficient to respond, in a fast and effective way, to the damage that the measure might have caused to the defendant in the event that the claim is rejected. The latter is not necessary when the measures are adopted in criminal proceedings. Under civil jurisdiction, the judge can only adopt these preventive measures at the request of the plaintiff. Typically, the request should be filed together with the principal claim. However, the law allows these measures to be requested and adopted before filing the claim, provided that the plaintiff proves the urgency and need for their immediate enforcement. In this case, the adopted measures will be left without effect if the claim is not filed before the judge within 20 days of their adoption. After filing the claim, during the course of the civil proceedings or the appeal, these measures can only be requested on the basis of new unexpected circumstances. The judge can call witnesses or experts to give testimony. In accordance with the Spanish Constitution, the defendant will be assisted by a lawyer during these interrogations and cannot be forced to give testimony and has the right not to answer all or some of the questions. However, the witnesses will testify under oath and cannot be assisted by a lawyer. The judge can collect documents from the parties or third persons. Again, the defendant, as part of his or her right to non-self-incrimination, cannot be forced to produce documents that might be detrimental to his or her defence. The judge can order that any premises be searched where there are indications that evidence of the offence might be found or the defendant's written or oral communications be intercepted. To adopt these measures, the judge must issue a written decision outlining the reasons why they are deemed to be proportionate, necessary and relevant for the case. The judge can adopt these measures ex officio or at the request of any of the parties, including the civil claimant. Additionally, the SCrimPA foresees the possibility for the judge to order the defendant to be remanded in custody, if there is enough evidence that they might try to destroy or conceal evidence relevant to the case. A significant difference between Spanish – and continental law in general – and common law lies in the 'discovery' system. Spanish law does not allow discovery and, as a general rule, parties to a dispute cannot rely on others to provide evidence to support their allegations unless ordered by a judge. In accordance with this rule, Spain made a declaration to the Convention of 18 March 1970 on the taking of Evidence Abroad in Civil or Commercial Matters6 (the Hague Evidence Convention) that no letters of request would be executed when issued for the purposes of obtaining pretrial disclosure of documents as known in common law countries. However, the SCivPA establishes certain mechanisms for the parties to obtain an order of disclosure from the court that is addressed to others or to third parties. information related to the infringement of intellectual or trade property rights. Otherwise, the general rule in civil proceedings is that each party shall provide the court with evidence supporting their respective claims. Once the civil proceedings are initiated, the SCivPA8 entitles parties to request the court to order that certain information or documents be gathered from their counterparties or third parties. Specifically, at the parties' request, the court can order companies and public entities to produce documents or to certify the accuracy of certain information. where the savings banks commercialised derivative products, with insufficient transparency as to their risks, to the detriment of their clients. The first group of cases resulted in a number of criminal convictions for accounting fraud in the past few years. As to the second group, although initially the Spanish Public Prosecution Office launched a number of criminal investigations to assess potential criminal liability in the introduction to the market of financial products by savings banks, eventually most of the criminal proceedings were closed as the prosecution did not succeed in proving the existence of a systemic and organised scheme to defraud customers. For this reason, case law eventually determined that savings banks' liability for irregularities committed when selling derivatives should be assessed by civil courts on a case-by-case basis, depending on the profile of each investor and the information provided to them. This gave rise to a significant number of civil claims. The SCC specifically regulates several criminal offences to protect creditors from debtors' actions aiming to fraudulently put their assets beyond their reach. These criminal offences can by classified into two groups: fraudulent conveyance and punishable bankruptcy. carries out any other transaction, actual or simulated, for the purposes of fraudulently delaying, hindering or preventing ongoing enforcement proceedings. in general, actions that constitute a serious breach of the diligence duties in managing the insolvency situation prior to the bankruptcy judicial proceedings. the above-mentioned misconduct can also give rise to the directors' liability. The insolvency will be declared fraudulent if any assets have been hidden from the creditors or any potential or actual enforcement action has been purportedly hindered by the insolvent company. Should the insolvency be declared fraudulent, the directors (1) may be disqualified (for a period ranging from two to 15 years), (2) may lose their rights as creditors, and (3) may be ordered to pay the outstanding credits that cannot be satisfied after the liquidation process has been completed. Procedural fraud is a criminal offence under the SCC. Procedural fraud is perpetrated when one of the parties to judicial proceedings produces false evidence with the aim of deceiving the court and obtaining a favourable judgment to the detriment of the financial interests of the other party.14 Indeed, for procedural fraud to apply, it is specifically required that the deception is carried out for the purposes of obtaining financial gain. Should this requirement not be met, the misconduct would be characterised as forgery or false testimony, depending on the circumstances. the fraud has been declared in a final and binding criminal judgment, after specific judicial proceedings are carried out to that effect. Article 24 of the Spanish Constitution recognises the right to privilege within the context of the criminal defendant's right to a defence. For this reason, legal privilege is only specifically regulated in connection with procedural rights. In that regard, the Spanish Act on the Judiciary Board15 sets out that lawyers are subject to professional secrecy and cannot be forced to provide testimony or information, as regards the facts that the client revealed to them in that condition. This legal privilege is not only viewed as the client's right but also as the lawyers' privilege. For this reason, even if the client waives their right, the lawyer would still have to assess whether, in the specific case, it is appropriate to disclose the privileged information and could refuse to do so. The legal privilege will only apply to cases in which the lawyer acts as such. When it is determined that the lawyer colluded with the client to perpetrate the fraud, the legal privilege is lost and the lawyer would be treated as a co-conspirator. In Spanish criminal proceedings, Spanish law shall always be applicable, provided that Spanish criminal courts have jurisdiction to investigate and try the case. The general rule is that Spanish courts will be competent for trying the case provided that the fraud was perpetrated in Spain. Spanish case law interpreted this requirement broadly and recently adopted the ubiquity principle, according to which the Spanish courts will be competent when any of the elements of the fraud, including its effects, took place on Spanish territory. when perpetrated by Spanish public officials based abroad. In civil cases, the rules governing the jurisdiction of Spanish courts and the applicable law are complex and beyond the scope of this chapter. In addition to Spanish laws, EU Regulations and International Conventions on matters entered into by Spain must be taken into account. 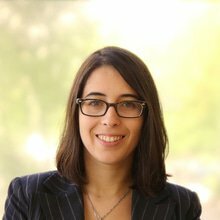 claims for the recognition and enforcement in Spain of foreign judicial decisions and arbitration awards. when the defendant or any of the defendants are domiciled in Spain. As to the applicable law, in fraud cases, the general rule is that the substance of the claim shall be decided in accordance with the law of the country where the event producing the damage took place. The validity and content of foreign law (in the event that Spanish law is not applicable) must be evidenced in the proceedings. the European evidence warrant for the purpose of obtaining objects, documents and data for use in proceedings in criminal matters. to take any measure with a view to provisionally preventing the destruction, transformation, removal, transfer or disposal of an item that may be used as evidence. The execution of mutual judicial assistance and mutual recognition requests issued by criminal judicial authorities of third states will be carried out in Spain in accordance with the provisions of any multilateral or bilateral treaty entered into with the corresponding state or, subsidiarily, in accordance with the principle of reciprocity. These mutual judicial assistance mechanisms are aimed at freezing the defendant's specific assets once it has been determined that they are located in Spain. 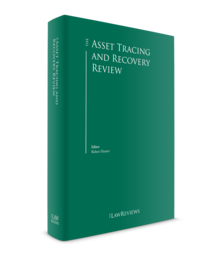 Conversely, these measures cannot be used to trace the defendant's assets and, in practice, locating the defendant's assets might prove difficult. For these purposes, it might prove useful to launch an investigation for money laundering in Spain against the perpetrator of fraud if there are indications that he or she could be hiding all or part of the proceeds in Spanish territory. In that case, the Spanish criminal courts in charge of the money laundering investigation will order every measure deemed necessary to trace, locate and freeze the laundered monies. The enforcement of the criminal aspects of judgments granted abroad in relation to fraud matters (e.g., the sentence imposed on the offender) will be carried out by the Spanish criminal courts in accordance with the EU regulations or international treaties regarding mutual assistance in criminal matters, as described above. The civil decisions adopted in these judgments by civil or criminal courts (e.g., the compensation of the victims) will be enforced by the Spanish civil courts in accordance with EU Regulation 1215/2012 or the international treaties regarding mutual judicial assistance in civil matters. Spanish law21 also establishes specific proceedings for the recognition and enforcement in Spain of civil judgments rendered abroad, applicable when no EU regulation or treaty exists. Spanish law does not consider fraud a specific defence against the enforcement of judgments rendered abroad. The general cause for Spanish courts denying the recognition or enforcement of a judgment rendered abroad is that it contravenes Spanish public policy. Therefore, such a defence would only be successful if the fraud was perpetrated in a way that could lead the Spanish courts to consider that the judgment was contrary to Spanish public order. 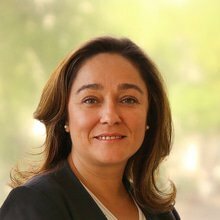 1 Adriana de Buerba is a partner and Laura Ruiz is a senior associate at Pérez-Llorca. 2 The Financial Action Task Force is an independent intergovernmental body that develops and promotes policies to protect the global financial system against money laundering, terrorist financing and the financing of proliferation of weapons of mass destruction. 4 Article 249 of the SCC. 5 Spanish Supreme Court Judgment (Criminal Chamber) No. 433/2015 of 2 July 2015. 6 In force in Spain since 25 August 1987. 7 Article 256 of the SCivPA. 8 Article 381 of the SCivPA. 9 Savings banks have become widespread in Spain in recent decades. As opposed to banks, savings banks do not have the legal form of a commercial company but rather, typically, are foundations or associations with no commercial purpose. For this reason, savings banks have had to dedicate a significant part of their profits to social causes. Another specific characteristic of Spanish savings banks is the lack of shareholders: the principal governing body is an assembly comprised of representatives of the regional government, the savings banks' employees, the depositors and other stakeholders. 10 Spain implemented the EU Third Directive on AML/PTF (Directive 2005/60/CE of the European Parliament and Council of 26 October 2005, developed by Directive 2006/70/CE of the European Commission of 1 August 2006) through Act 10/2010, 28 April 2010, on the prevention of money laundering and terrorist financing. The Spanish government is currently in the process of implementing the Fourth European Regulation on AML (Directive (EU) 2015/849 of the European Parliament and of the Council of 20 May 2015) although the deadline for the implementation passed on 26 June 2017. 11 Article 301 et seq. of the SCC. 12 Article 257 of the SCC. 13 Articles 259 to 261 bis of the SCC. 14 Article 250.1.7 of the SCC. 15 Article 542 of the SAJB and Article 416.2 of the SCrimPA, specifically for criminal proceedings. 16 Provided that the following requirements are met: (1) the fraud is punishable in the country of execution; (2) the victim or the Spanish public prosecutor files a complaint in Spain; and (3) the perpetrator was not acquitted, pardoned or convicted abroad or, in the case of conviction, did not serve his or her sentence. 17 Act 23/2014 is an amalgamated text consolidating the following Framework Decisions and Directives on matters of mutual recognition of decisions on criminal matters: (1) Framework Decision 2002/584/JHA of 13 June 2002 on European Arrest Warrant; (2) Framework Decision 2003/577/JHA of 22 July 2003 on the execution in the European Union of orders freezing property or evidence; (3) Framework Decision 2005/214/ JHA on the application of the principle of mutual recognition to financial penalties; (4) Framework Decision 2006/783/JHA on mutual recognition of confiscation orders; (5) Framework Decision 2008/909/JHA on the application of the principle of mutual recognition to judgments in criminal matters; (6) Framework Decision 2008/947/JHA on the application of the principle of mutual recognition to judgments and probation decisions with a view to the supervision of probation measures and alternative sanctions; (7) Framework Decision 2008/978/JHA on the European evidence warrant for the purpose of obtaining objects, documents and data for use in proceedings in criminal matters; (8) Framework Decision 2009/299/JHA enhancing the procedural rights of persons and fostering the application of the principle of mutual recognition to decisions rendered in the absence of the person concerned at the trial; (9) Framework Decision 829/JHA on the application, between Member States of the European Union, of the principle of mutual recognition to decisions on supervision measures as an alternative to provisional detention; and (10) Directive 2011/99/EU of the European Parliament and of the Council on the European protection order. 18 The amendment was carried out through Act 3/2018, 11 June 2018 (Spanish Official Gazette 12 July 2018). 19 Directive 2014/41/EU of the European Parliament and of the Council of 3 April 2014 regarding the European Investigation Order in criminal matters. 20 Article 722 of the SCivPA. 21 Act 29/2015, 30 July on international legal cooperation in civil matters and SCivPA, 25th and 26th Final Provisions.